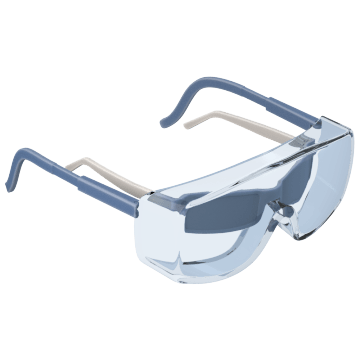 With a half-frame design, these safety glasses are more durable than frameless glasses and lighter than full-frame glasses. 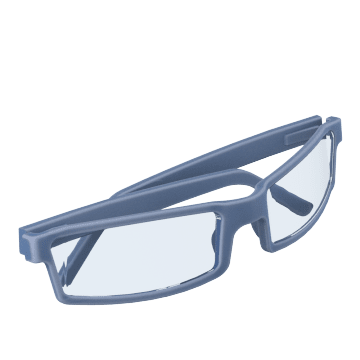 The frame helps to reinforce the lenses while permitting an unobstructed view at the bottom edge of the lenses. 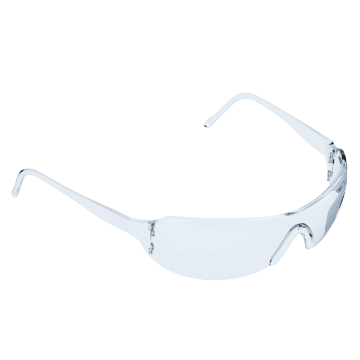 Compared to half-frame and frameless designs, these full-frame safety glasses are sturdier. 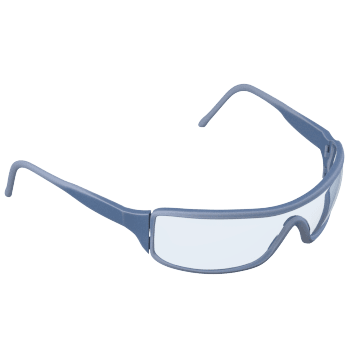 They hold lenses securely to withstand frequent use and handling. 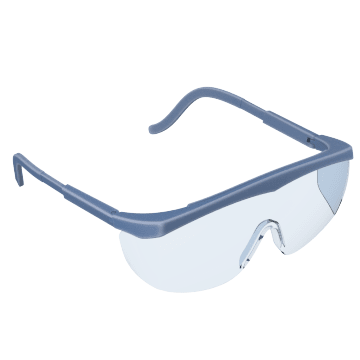 Wear these safety glasses over your prescription glasses so you don’t have to compromise vision for safety. OTG (over-the-glasses) eyewear is sized to accommodate prescription glasses while offering safety protection. Note: Be sure to use prescription lenses made of materials that are appropriate for safety eyewear. 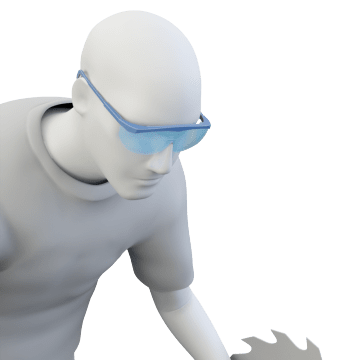 Shield your eyes from the bright lights of a welding arc with these safety glasses. The higher the shade number, the darker the lens and the less light will be allowed to pass through. Get the protection you need while also having full visibility for reading with these lenses.